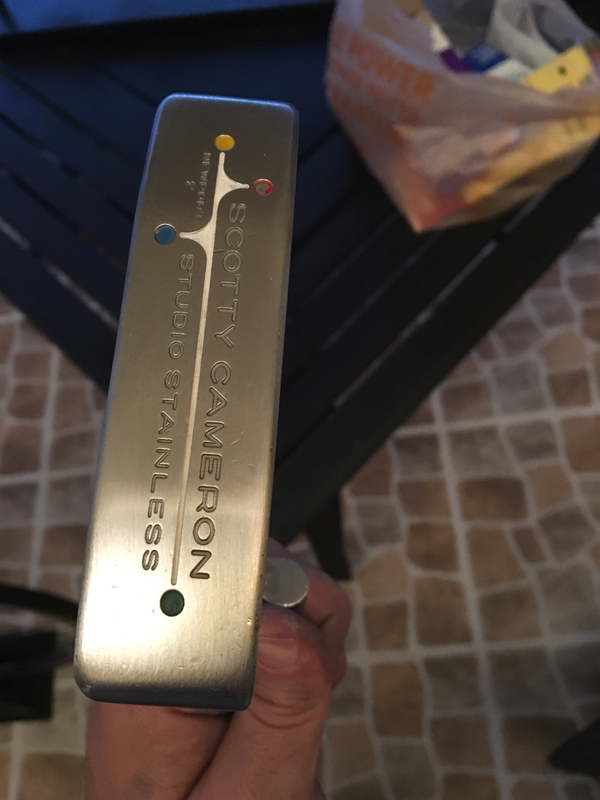 Hey guys, refinishing a Scotty Stainless. Sanded down all knicks and its looking really nice. Question for the group is what is the best way to go about painting it matte black? I look forward to your suggestions and or tips. Thanks. Ok so no paint, but what if I F'up the caswell blackening. Can that come off easy? 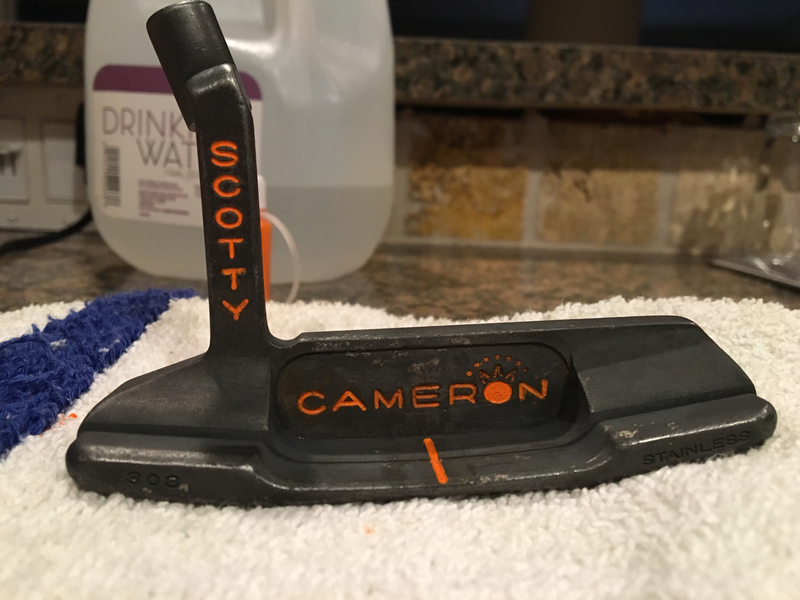 I was thinking a matte black finish with orange lettering. caswell still the best way? 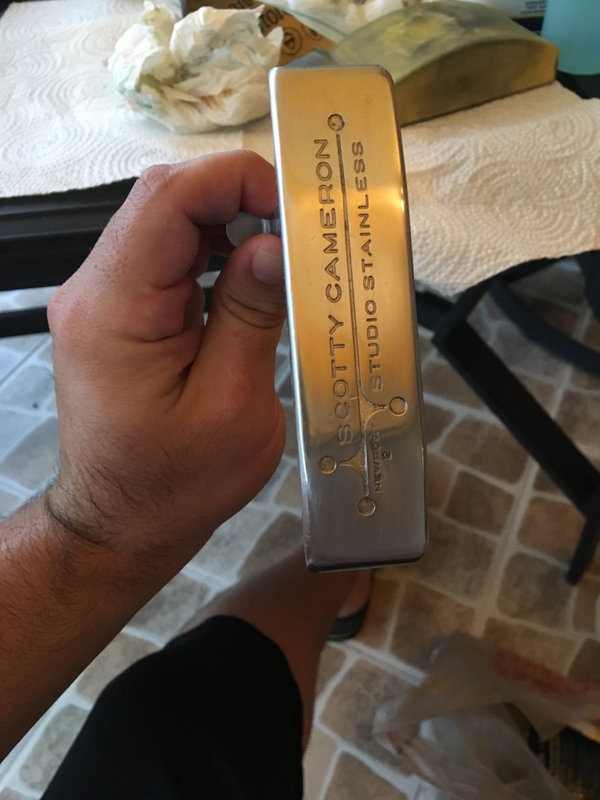 I would suggest buying an inexpensive stainless putter to practice with if you are that worried. It is essentially an acid the reacts with the metal. 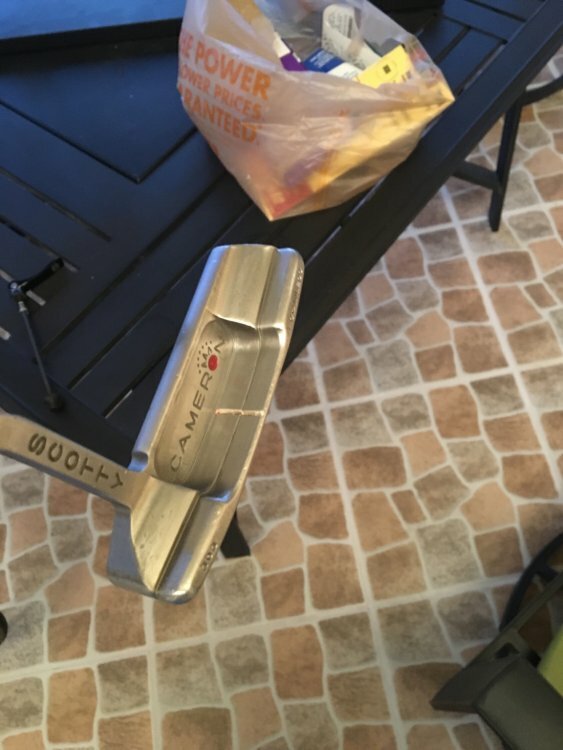 You could probably sand it if but would lose more weight. You can't mess up the caswell. 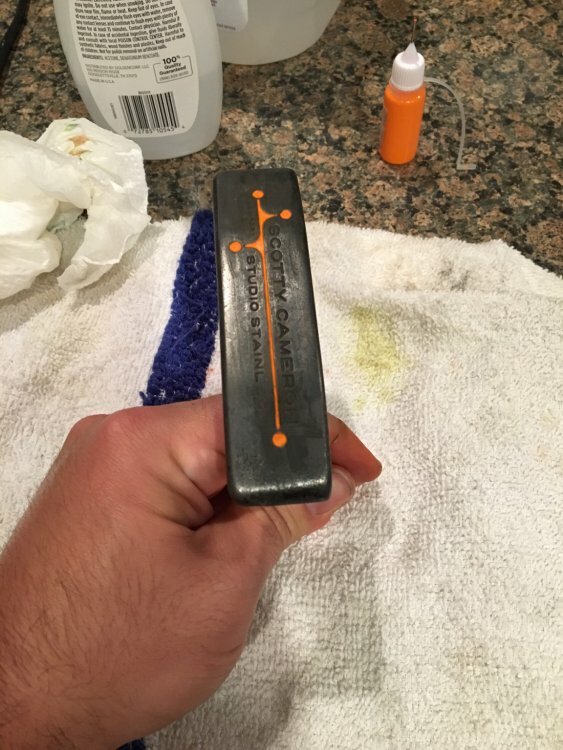 Buy the liquid, put the putter in a ziplock back and pour it in there and let it sit. 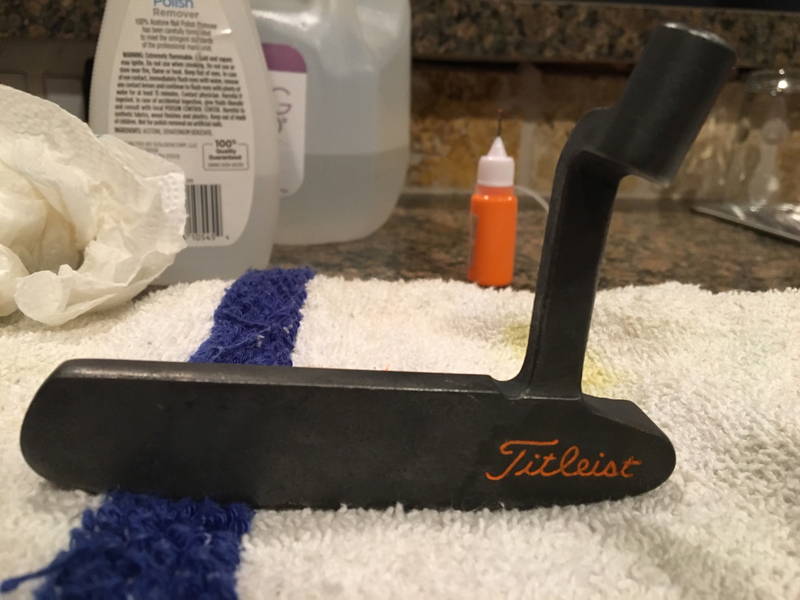 Remove, hit with steel wool, back in. Repeat till it's as dark as you want. Ahhh sounds goo RB.....sent you a PM with a link to the product I found. Can you confirm that is it? The more rounds in the ziplock I do will get it darker but will it stay with a matte finish or is there a chance it gets glossy? Thanks for the help guys, I will post pics of the work i have done on it so far hand sanding. Thanks! It'll stay however the metal is prepped (matte will stay matte, polish it and it'll stay glossy). 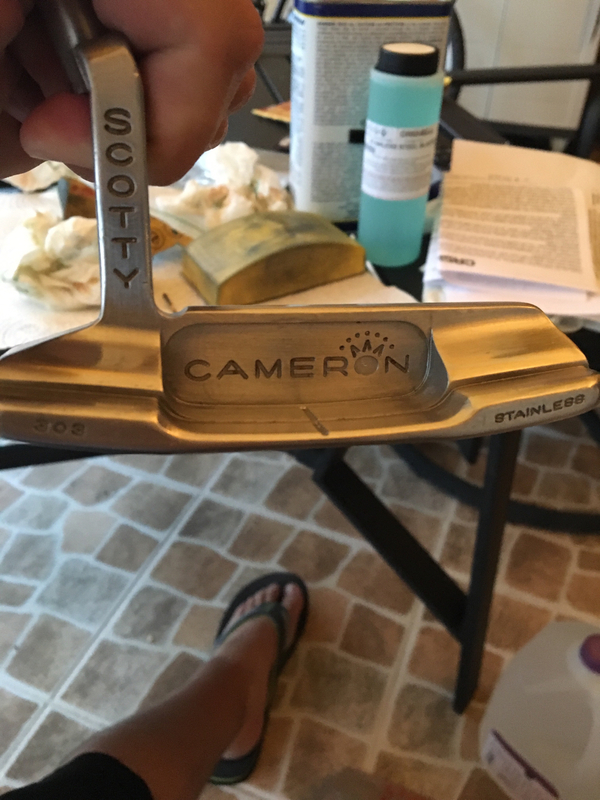 Here are some pics of the progress and final product. 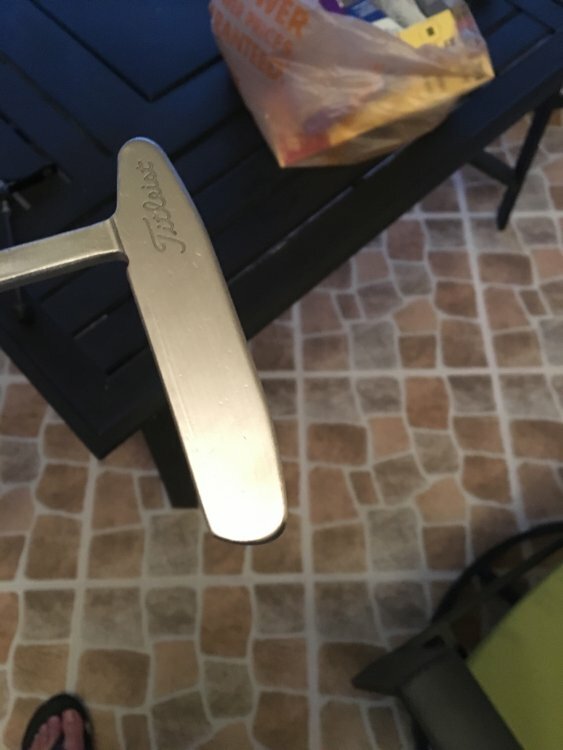 The first pics are after hand sanding the dings out as much as possible. All in all I'm pleased with it for the first try. Will try to give the blackening another round. RB, did you do the suggested 50/50 prep of water and muriatic acid? I feel if you had given that a light glass bead blast the black would have been a lot darker and more even appearance. Otherwise good job keep up the experimenting!! 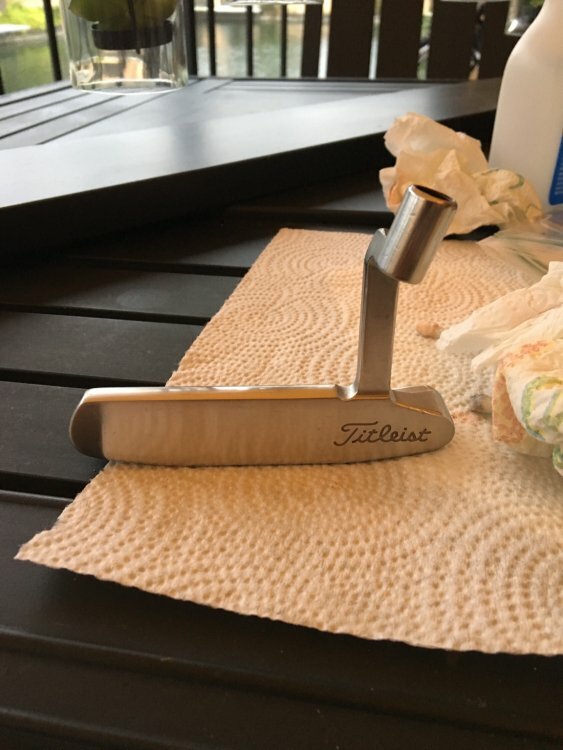 That's the perfect putter for project use.. I also found that if I wiped it down very throughly with acetone (while wearing gloves) before blackening it came out a lot nicer. The oils in you hands can affect the finish leaving it blotchy. Try not to touch it after the final clean.